Computing is evolving with devices always becoming more powerful and efficient but also smaller. The idea of having a complete computer on a size of a memory stick emerged few years ago with small devices running on Linux. With the newest Mini PC, you can just plug a stick in the HDMI port of your TV and convert it to Google Android Internet connected device. We’ll have a quick look at the history of these mini computers, their limitations and see specifications for three current models priced under $80: MK802II, UG802, MK808. The idea of making very small computers isn’t new. Back in 2004, gumstix.com worked on small Linux computer-on-modules based on ARM processors. The name Gumstix actually refers to the first computer being approximately the size of a stick of gum. It was intially running OpenEmbedded Linux system on an Intel/Marvell XScale PXA255 ARMv5 processor. Gumstix later updated the platform using Texas Instruments OMAP and newer XScale CPUs. Last year, Always Innovating announced a new product in the form of a portable dongle sized HDMI set-top box. This HDMI Dongle is a device of the size of a USB stick that can be plugged into any HDMI port to transform a dumb TV into a smart Internet-connected screen. The HDMI Dongle runs on at a speed up to 1.5 GHz on an ARM Cortex A9 TI OMAP 4 processor and enables Internet browsing, movie watching and games. 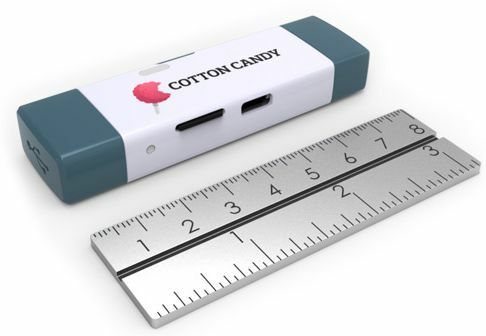 Both Always Innovating HDMI Dongle and FXI Tech Cotton Candy seem to have inspired other companies and there are now dozens of similar dongles produced by Chinese manufacturers for prices under $100. You will find a comparison of the specifications for 3 models at the end of this article. 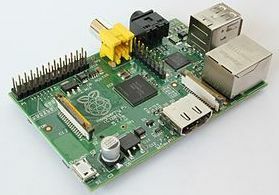 Others initiatives such as the Raspberry Pi can also be mentioned as Mini PC, offering a credit card sized computer starting at $25. These are still slightly bigger products than the USB Sticks Mini PC, they come as a circuit board without a case and the device is less user friendly being mainly oriented for developers and education sectors. 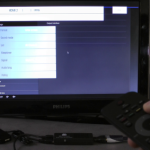 The main usage for these devices is a set-top-box to play music, videos or images on your TV, using local files on the device or from the Cloud. Most of the Android based devices come with Google Play Store giving access to Google Apps and thousands of applications. Mini PCs offers just a basic central unit computer, unlike a tablet, they don’t have a battery, camera, screen or any form of input device. 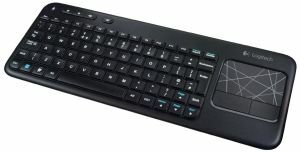 Mini PCs are usually powered thru the supplied mini USB cable, you will also need to connect a keyboard/mouse thru an USB port (an USB hub is recommended) or use a wireless keyboard/mouse combination such as the Logitech K400. Onboard storage space is usually limited to 4 or 8 Gb of flash memory, on which almost 2 Gb are reserved for Android system, data and default applications, so you can end up with very limited storage space for your audio, video media files and use of a microSDcard is recommended. Audio or Video Chat functions aren’t always available, due to the lack of microphone and video camera on most devices. This can sometimes be added later as we will later see in another article. You can also be limited with sound output if you are connecting the MiniPC to a DVI monitor, as DVI cables does carry only the video data and no sound, so you would loose the audio when converting from HDMI to DVI. Some future device should offer a simple jack audio output to solve the problem. Finally, it’s worth noting these platforms aren’t specifically designed for gaming, as there are a lot of Android games that rely on a touch screen which isn’t present on Mini PC setup. So you’ll end up using a mouse/keyboard combination or an USB joystick to enjoy your games, if they supports it. In the future, the option of USB Bluetooth controllers such as the WII Remote should be possible. We are closing this article with a 3 Mini PC specifications for devices that are currently available at very cheap prices from $45 to $75. Gravity Sensor ??? ??? ??? Come back soon for more Mini PC reviews and tips.